Allow us to take all of those documents and shred them while you watch. We'll take them from where they sit and pulverize them in minutes. 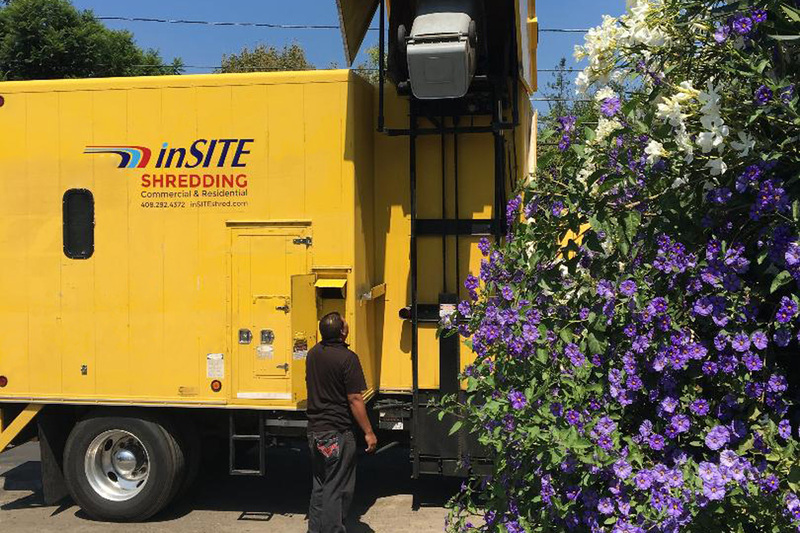 InSite's mobile shredding services are especially designed for residential clients who have sensitive documents that need to be destroyed quickly and securely. 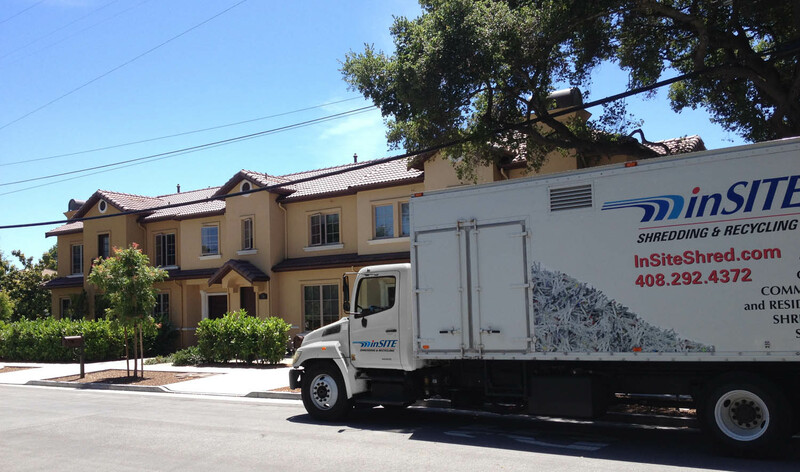 Our state of the art shredding trucks allow you to witness the destruction of your documents curbside at your home. This saves you time and money. 1. Look at what you want to get rid of. 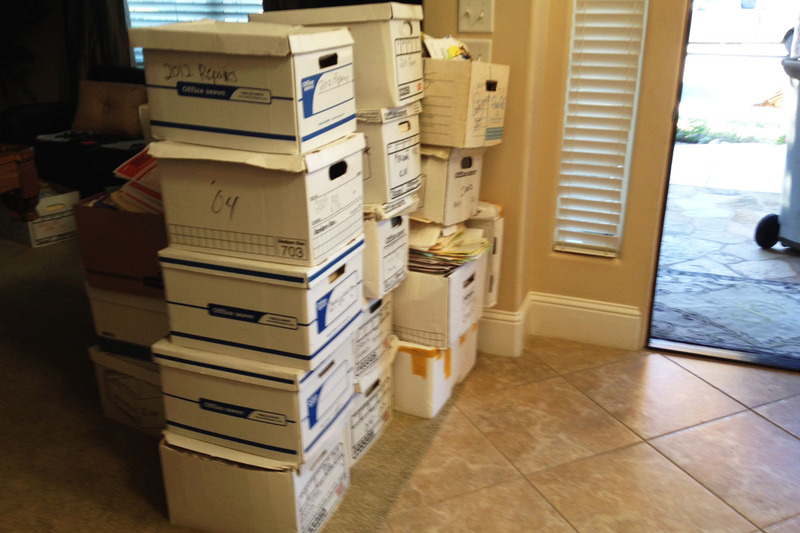 We generally quote a price based on the number of regular-sized boxes you have. 2. 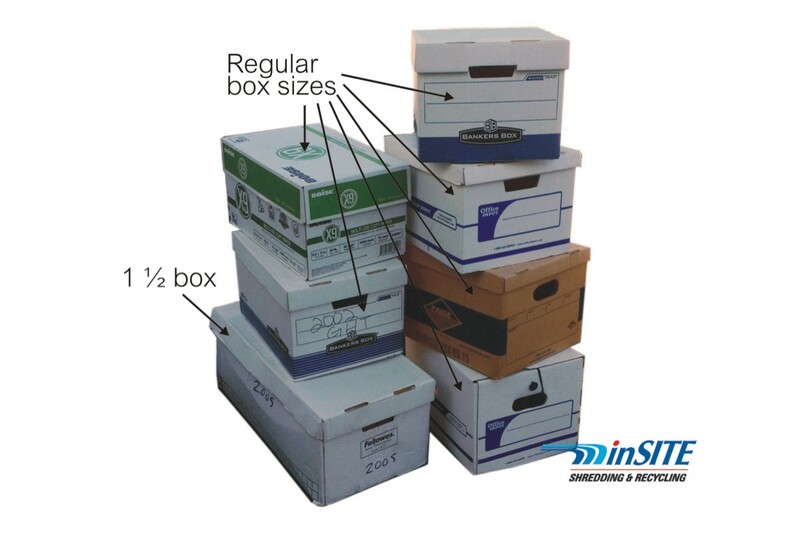 A regular-sized box is a letter-sized file box, or a copy paper box. 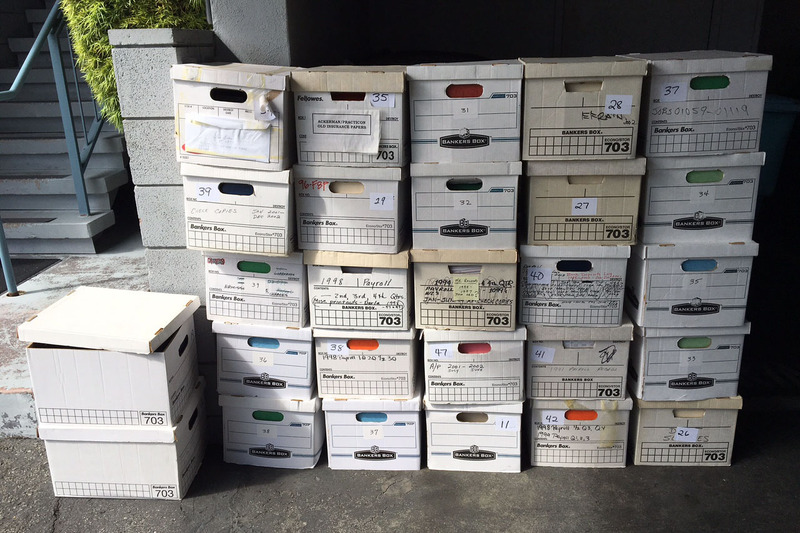 If you don't have your material in boxes, that's OK - just take your best guess of how many it is. We'll pick it up in boxes, bags, trash cans, or just stacks on the floor; we can calculate the number of boxes by how full the bins are. 3. 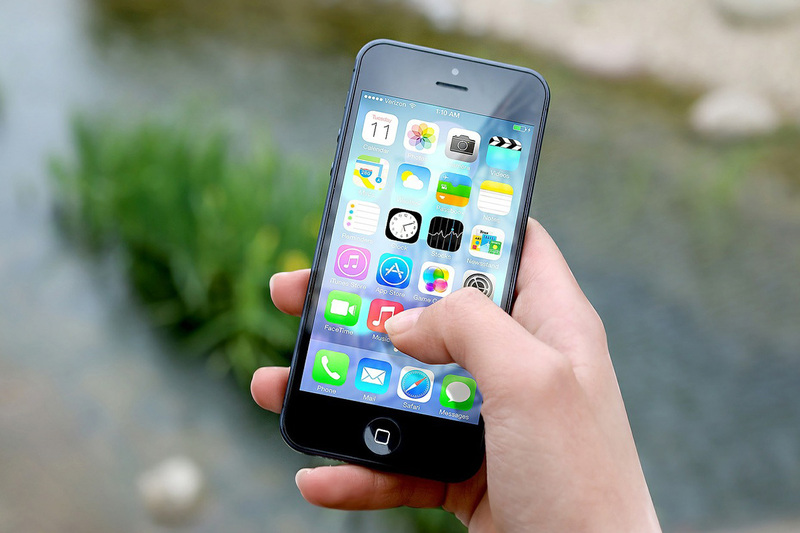 Now, to get a price, you can use our instant online quote generator, you can email us, or you can call us. We just need how much stuff, and where you are located. Then, we'll arrange a time for us to come by that is convenient for you. 4. 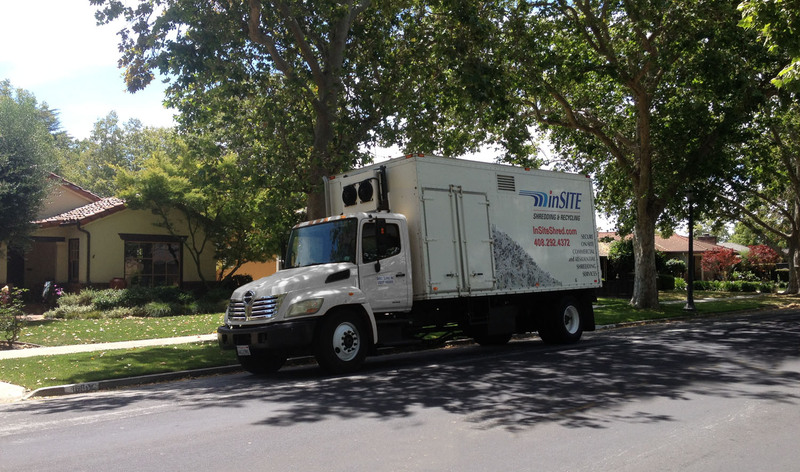 One of our trucks, with one of our friendly customer service representatives, will arrive at your home at the agreed-upon time. Our arrival window is usually two hours. 5. We do the rest! 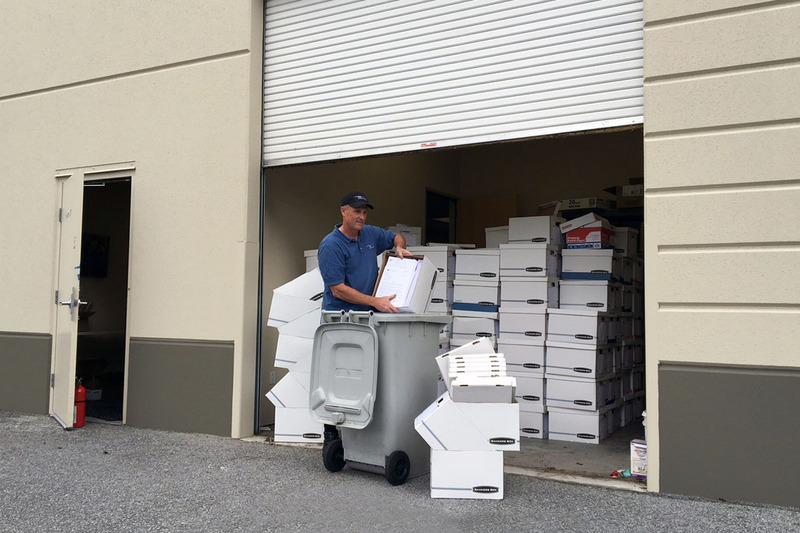 We'll empty your boxes into bins, wheel the documents to the truck where they are lifted up and dumped into the shredder. 6. You can watch as we do all of this. There is a video screen available where you can see your documents get eaten by the shredding knives. This video will give you a better idea of what to expect. 7. 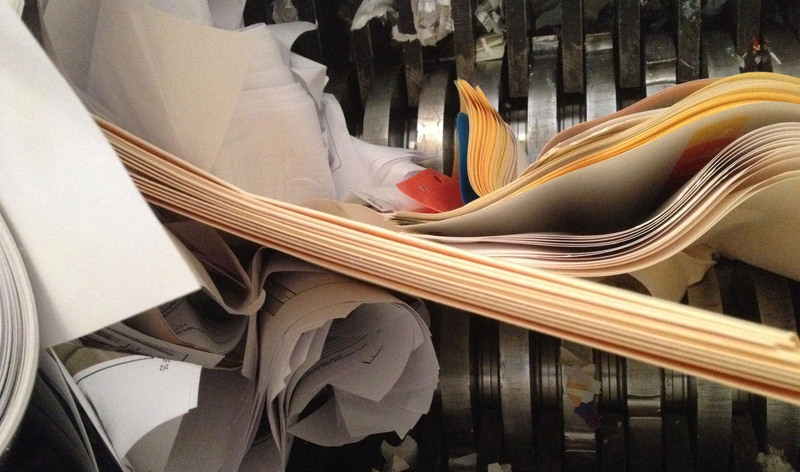 At the end of the day, we dump our trucks, bale the material, and ship it to a recycling plant where it is turned into new paper. We accept cash, check, credit card and PayPal upon completion of the job. Current credit cards accepted are Visa, Mastercard, American Express, and Discover. 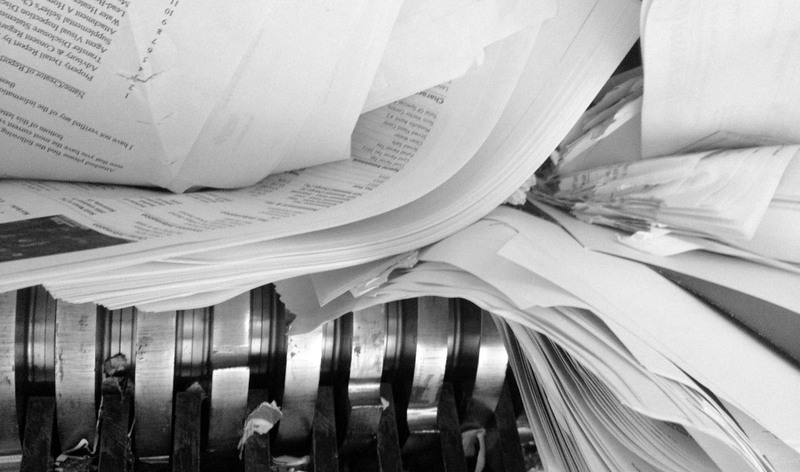 As of 2019, the recycling industry has changed, and we can no longer accept anything with plastic (report covers, paper protectors, etc. ), hanging folders, or Pendaflex type folders. We apologize for the inconvenience. Do we have to remove staples or paperclips? No. You don't even have to remove binder clips or bound folders. Does the material have to be in boxes? 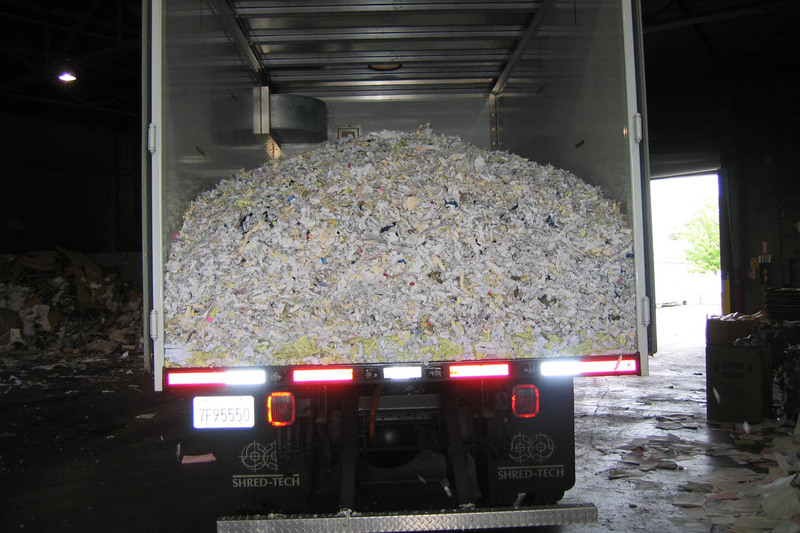 No - we just bid by box size because that is how almost all other shred companies bid it. 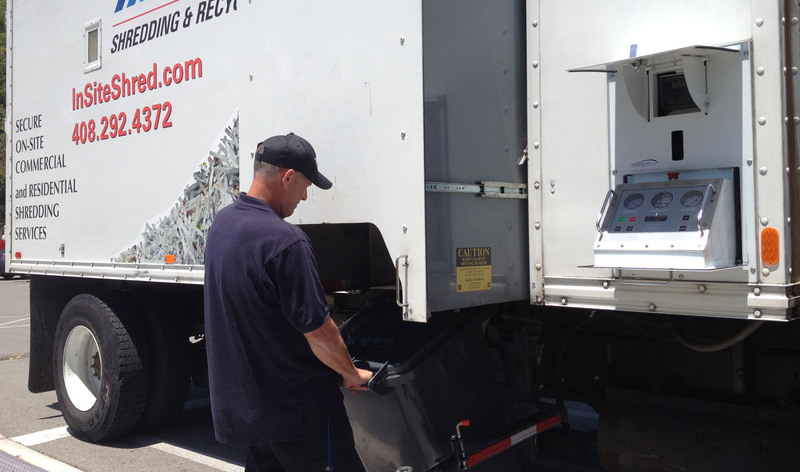 We will pick up your material from drawers, trash cans, or just piled up on the floor. Do I have to have the material outside? 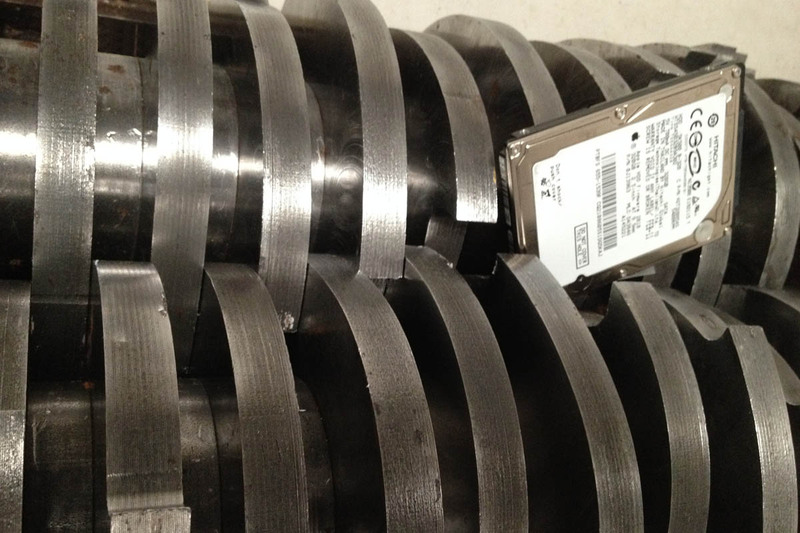 We are happy to remove the material from inside of your house, garage, or wherever you have it. 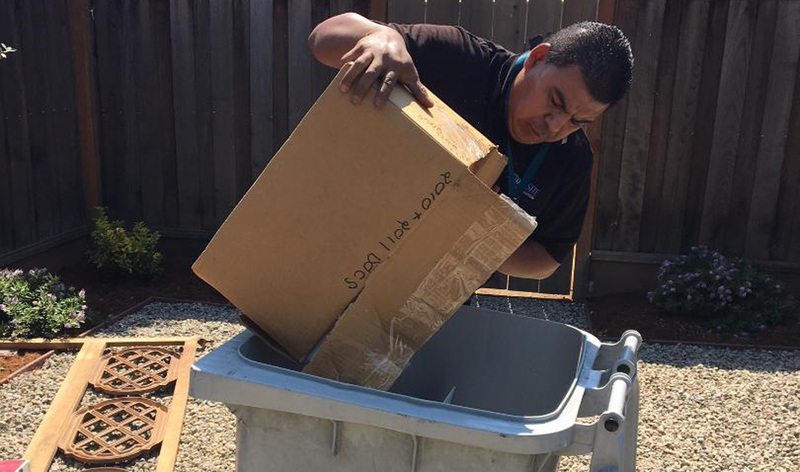 We'll clean out your storage area too!